I was so excited when i was offered a copy of Wife after God. I heard all sorts of good things about it, but never had the chance to find out for myself, WOW, i received it on a Friday evening and wanted to wait til the beginning of the week to read it, it was so hard to not open and just devour the book all at once, it took self control. 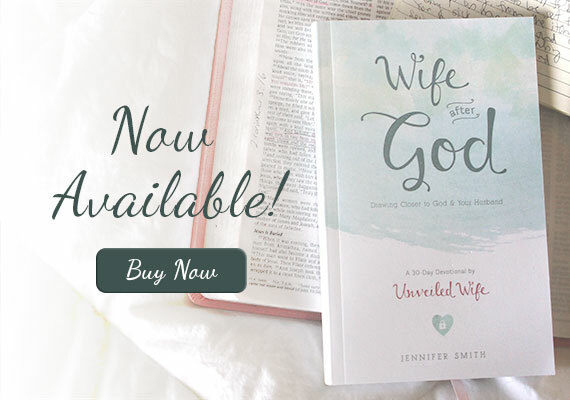 This book is such a great resource for wives looking to invest in their marriage and invest in their relationship with God!! This is a 30 day devotional, so every day she addresses a specific marital issue. On each day there is fairly short study (which is very Biblically based) and then she has journal prompts to help you go deeper and then she even has practical challenges to help you apply the lesson to your marriage. I have shared it with a lot of people, I want to be the woman God wants me to be, the Wife he has called me to be, he gave me my husband to love, nurture, take care of, he gave me this guy who is my forever Best friend, my forever I do, so why wouldn't i want to be the wife God has planned for me. knows what they are talking about on the net. You certainly realize how to bring a problem to light and make it important. added a post title that makes people want more? I mean "Wife After God" is a little plain. video or a picture or two to get readers excited about what you've written. I do not consider myself a religious person, I am however very spiritual, I give thanks every day for the gifts in my life, my family, friends, my health and my wits... I'm glad that this book is helping you to focus on what is important to you. Thanks for sharing. Thanks for sharing this. I may look into it further. This seems like a wonderful book! I'm trying to live a more God-centered life, especially where my marriage and family is concerned. Thanks Terri! This sounds like something I really ought to add to my stack of "books" to read on my nightstand. I adore devotionals, as they are much easier for me to read and understand. They also seem to be books that I can easily begin implementing without too much effort. I am thinking that this might also be a good suggestion for our women's weekly bible study group, thank you for sharing this book with so much enthusiasm that made me really interested. Thank you for sharing this book. I think this is a book that may actually benefit the whole family. Glad that you have found a book that you are so passionate about. I entered! This sounds interesting and has obviously inspired you. What more could we hope for in a book? Visiting from UBC. I love her Daily Marriage Prayers and that you got sign up to receive daily emails of them. Looks like a good book. Thanks! means? I've a mission that I'm simply now running on, and I've been at the look out for such information.